Search Results for "elegant lifestyle"
Attractive young woman looks irritated and nervous, while walking phones someone, checks the time. Stylish look, elegant white blouse, tight red skirt and leather jacket. Luxurious lifestyle. Attractive blonde woman walking near the business center and talking on the phone. Stylish look, elegant white blouse, tight red skirt and leather jacket. Luxurious lifestyle, successful life. Rotation view of a beautiful young blonde woman in a black elegant blouse using her smartphone in the airport terminal. Being businesswoman, successful lifestyle. Business trip. Rotation view of an elegant blonde business lady using her phone, looking around in a bright sunshine. Modern technologies, active lifestyle. Working day. Natural beauty. Gorgeous young woman in an elegant look walking down the crowded city street, with a cup of coffee and using phone. Busy lifestyle. Business-lady. Urban background. Lovely young girl in an elegant look walking down the crowded city street, with a cup of coffee and looking direct in the camera. Busy lifestyle. Business-lady. Urban background. Back view of an elegant young woman in a stylish wear walking in a rush to the airport entrance, turning to camera, smiling brightly. Active lifestyle, positive energy. Smiling business lady using digital tablet. Portrait of elegant young female using pc tablet on green screen. People, technology, lifestyle. Smiling mature woman taking a selfie. Elegant middle aged woman using selfie stick on chroma key background. People, technology and lifestyle. Elegant woman using digital tablet. Pretty mature woman working on pc tablet on window city background. People, technology and lifestyle. Serenity and relaxation luxury travel lifestyle concept with happy young woman holding red wine glass while standing outside on terrace living jet set lifestyle. Elegant woman, Santorini, Greece. 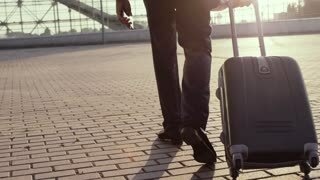 Young man pulling a suitcase, talking via his cellphone in a bright sunlight. Stylish look, elegant suit. Active lifestyle, cheerful mood, positive emotions. Business trip, way back home. Girl walking in vivid nature against the bright sunshine. Elegant woman maintaining a healthy lifestyle as she breaths fresh and clean air in green wild environment. Vacation woman on luxury travel looking at view on Santorini famous Europe tourist destination. Elegant young lady living fancy jetset lifestyle wearing dress on luxury holidays. SLOW MOTION RED EPIC. Girl walking in vivid nature against the sun. Elegant woman maintaining a healthy lifestyle and enjoying green wild environment. 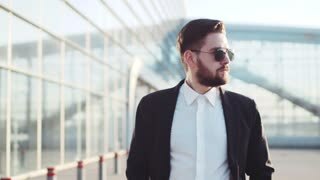 Attractive brunette woman walking near the business center and talking on the phone. Stylish look, elegant white blouse, red lipstick. Luxurious lifestyle, successful life.